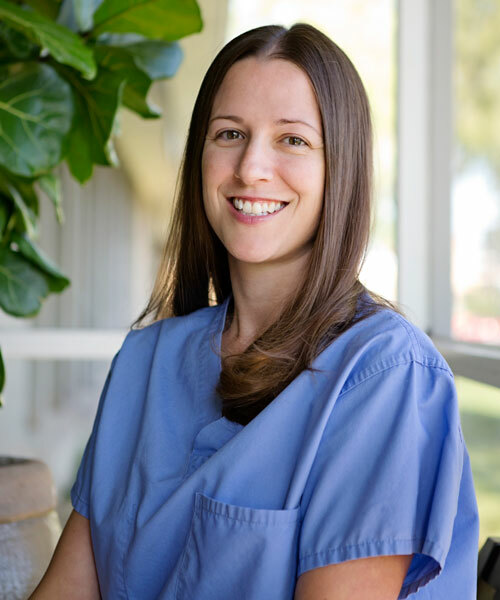 Amanda is a board certified physician assistant with significant experience, having assisted in more than 3,000 surgical procedures and performed more than 3,500 injections. Amanda grew up in Kansas, firmly entrenched into a family of sports enthusiasts. While playing competitive sports Amanda was able to experience firsthand the impact of sports related injuries on her teammates. She was inspired by the orthopedic surgeons and orthopedic physicians assistants that worked together to evaluate and treat athletes, enabling them to continue doing what they love despite serious injuries. This experience ultimately sparked an interest that would guide her education and career decisions. After graduating with honors at the University of Kansas with a degree in Human Biology she completed her physician assistant training and achieved a Masters of medical Science degree locally at Midwestern University. Amanda joined Dr. Evangelista in 2009. She is a board certified physician assistant with significant experience, having assisted in more than 3,000 surgical procedures and performed more than 3,500 injections. Amanda has extensive experience in all areas of orthopedic care, and is fully committed to delivering a great patient experience. Being a wife and mother Amanda understands very well the importance and necessity of a patient regaining and maintaining as much mobility, strength and range of motion in their everyday life as possible. This becomes especially evident when chasing after her two toddlers! Amanda's sympathetic and experienced bedside manner makes her an invaluable asset to each patient, providing them with the information they need to make informed decisions as they move from their initial visit through their treatment plan to recovery. We believe that if Phoenix Magazine had a "Top Physician Assistant" award Amanda would "top" the list.